Moose Falls is at the southern edge of Yellowstone National Park, just inside the south entrance for visitors arriving from Grand Teton National Park. The falls are just a few yards off the highway, indicated by a small sign and a turnout for parking. They are worth a visit. 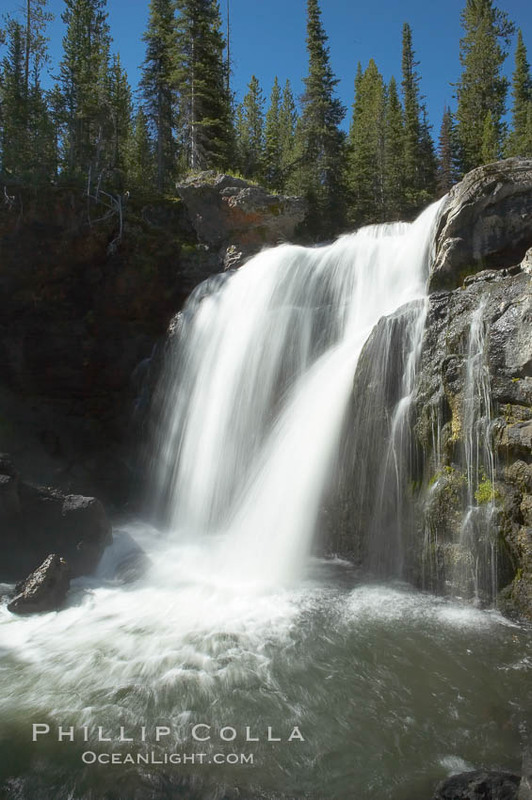 Moose Falls is a 30 foot drop in the Crawfish Creek just before it joins the Lewis River, near the south entrance to Yellowstone National Park.